It’s that time of year again, #SPSM! Extending on last year’s introductions of social media engagement through use of memes, #SPSM will chat 12/7/14 9pm CST about building engagement through merchandise. No, we’re not making any money during this chat, so put your wallet away. But we will discuss how you move engagement from digital to IRL using fun “gimmicks” like putting your memes, slogans, pics, etc. on products people use, share, and gift. This is the final chat for 2014 before our holiday hiatus. #SPSM chat returns 1/11/15. For a well-known example of using merchandising to engage people in a cause, breast cancer advocacy benefits every year from the retail marketing of thousands of pink products. Whatever you think about this (and we WANT to hear your opinion at #SPSM chat), we know that creating and sharing merchandise is a fun and sustainable way to keep people connected to a cause they believe in. Who among us has an NPR totebag, for example? Increasingly, various bloggers and YouTubers are using merchandising to engage their audience. They solicit user generated graphic content, as well as making their own based on the “meme” of the day. 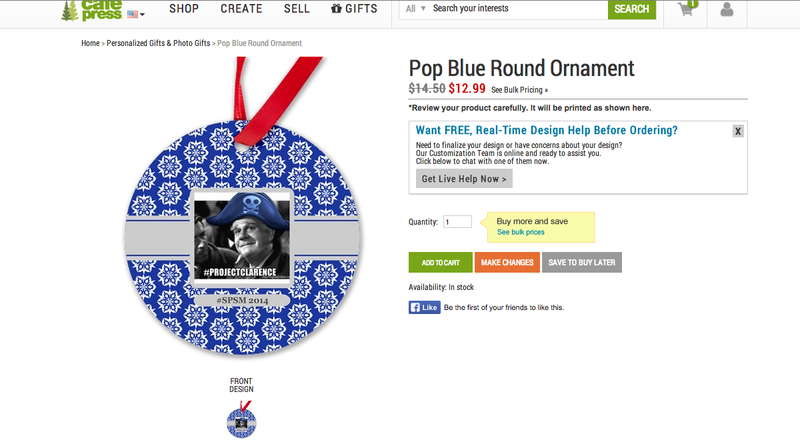 Sites such as Zazzle or CafePress allow you to quickly upload your graphic content and allow people to buy it on millions of products. You can set up shops that sell your content on products for others, or just order a few fun items as gifts for your merry band of disruptive innovators and thought leaders (yes, I’m talkin’ ’bout YOU, #SPSM). My first experience with this was putting an #OccupyHealthcare logo on insulated mugs for my pals several years ago. The mug wasn’t any kind of “for profit” merchandising venture. But three years later, it is still sitting in my office, giving me a sense of connection with the people I worked with to raise awareness about health care system change. You don’t need incredible graphics expertise, capital, or even much time to do this. It is just a technology facilitated way to create things that help you feel connected to what you believe, and the people with whom you share a mission. For our final chat of the year, we’ll discuss #ProjectClarence 2014. 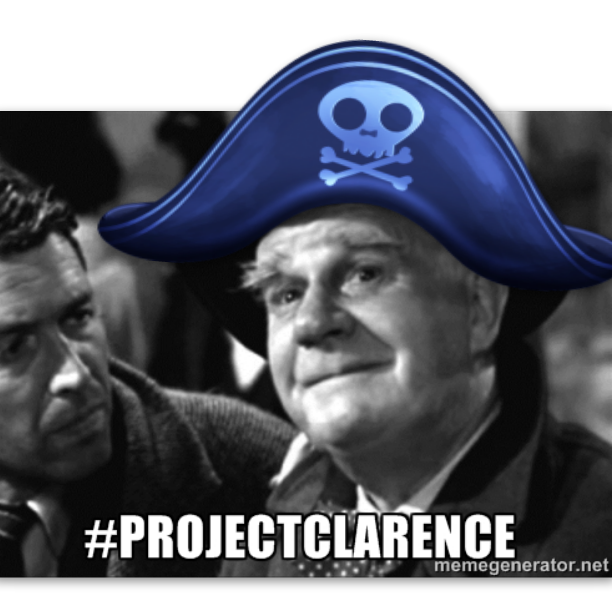 I’ll be encouraging you all to create #ProjectClarence memes, and tweet and facebook all month about how #SPSM can add merchandise to our engagement strategies in 2015!